If you’re in the market looking to buy a new laptop, after researching a bit, you’ll figure out that Dell is between two categories: great and terrible. Dell has become great when it comes to laptop hardware design and usability. The company’s XPS laptop line is often compared to premium laptop models from Apple such as the MacBook due to its great design and smooth touchpad. Now the bad part, where Dell does not even comes close to Apple, is in quality control. Dell has gained a reputation for having poor quality control over their electronics. When you buy a Dell laptop you’re basically playing with fire: just like the laptop can last you a decade, there’s a high probably that it will last you a year. A great example of this is by visiting a Dell-related forum. Every time Dell releases a new machine, the support site become flooded with people reporting many type of problems. This goes from hardware issues to software issues. The list is always endless, therefore the company has a reputation of having poor quality control. But at this point the company appears to be having a huge problem that is getting out of their hands without them even acknowledging it. All support sites are being flooded with users reporting that their battery have swollen. The swollen battery then continues to damage the touchpad and even the motherboard in a worst-case scenario. By simply browsing the Dell’s section on Reddit, you will find hundreds of comments in different threads regarding to this issue. 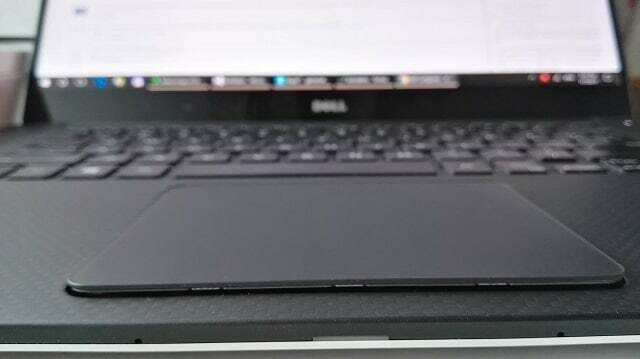 The problem keeps being repeated on Dell’s official support forums in a thread titled “XPS 15 9550 touchpad issue that Dell apparently can’t fix.” No official statement from Dell have come out. If you have warranty then you should have no problem requesting a battery replacement from Dell. You will have to ship your laptop to their repair depot so they can replace the battery. The problem is when you don’t have warranty. Since these are expensive premium laptops, the battery they use are very expensive. You will have to shell out about $120-190 for a battery replacement if you want to replace it yourself. Luckily, the replacement process is not that difficult at all.